Sea Eagle G-EBGS at the Woolston terminal. 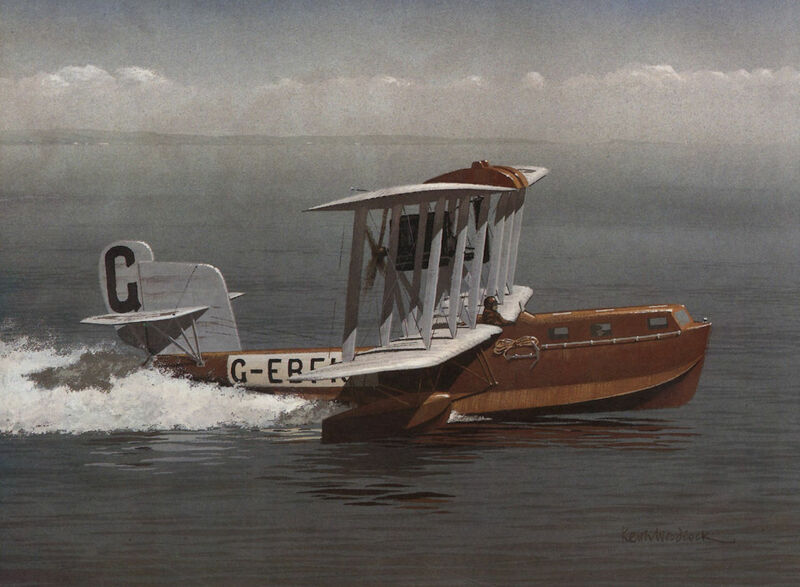 Sea Eagle G-EBGR, as a flying-boat, at Southampton in Imperial Airways blue and silver livery. 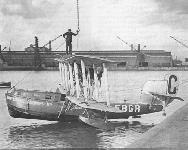 Supermarine Sea Eagle G-EBGS is named Sarnia in St Peter Port Harbour, Guernsey in 1923, while operating on the Southampton - Guernsey service. 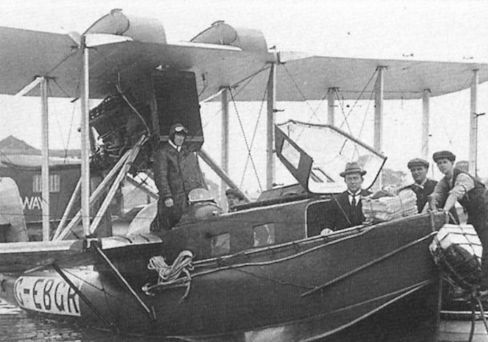 The first Supermarine Sea Eagle leaving Southampton on the survey flight to Guernsey and Cherbourg on August 14, 1923. 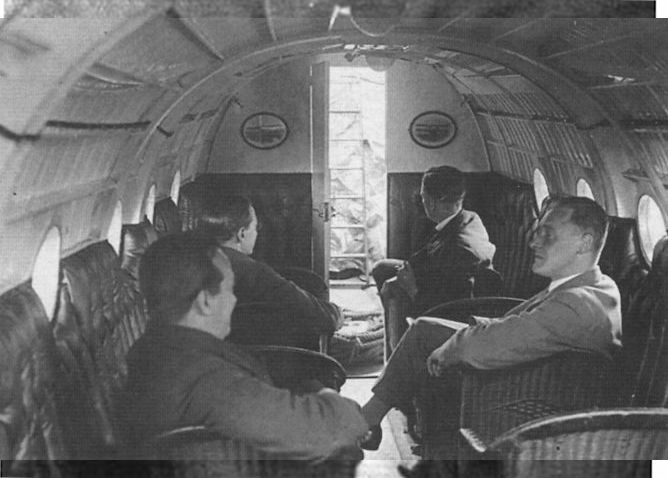 Sir Sefton Brancker shares the cockpit with Henri Biard, while Sir Francis Shelmerdine and Hubert Scott-Paine are in the bows with an Air Ministry representative. 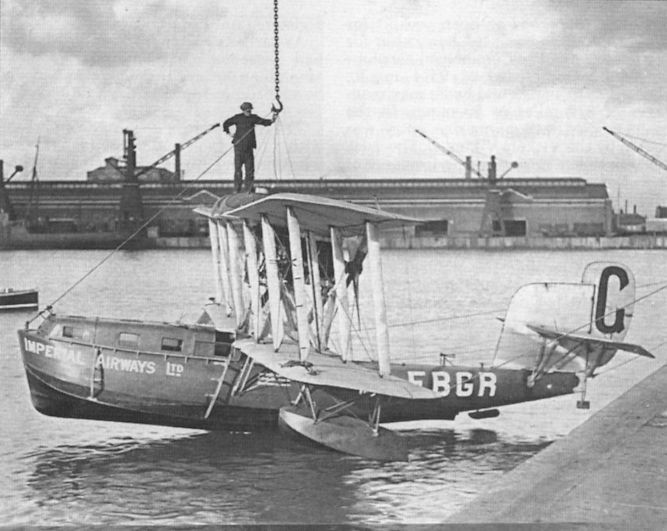 Loading newspapers into British Marine Air Navigation's Sea Eagle G-EBGR at Woolston. The pilot is F. J. Bailey. 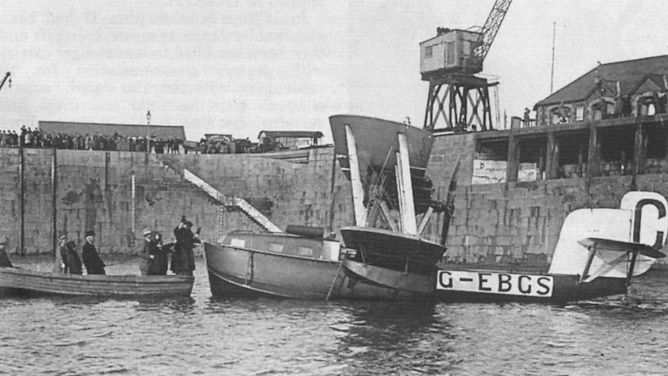 The hull of Sea Eagle G-EBGR (wrongly marked G-EBGS) being handed over to John Brancker, at Hythe, by Victor Paine, half-brother of Hubert Scott-Paine, in September 1949. In the back­ground is the Short Solent Somerset. 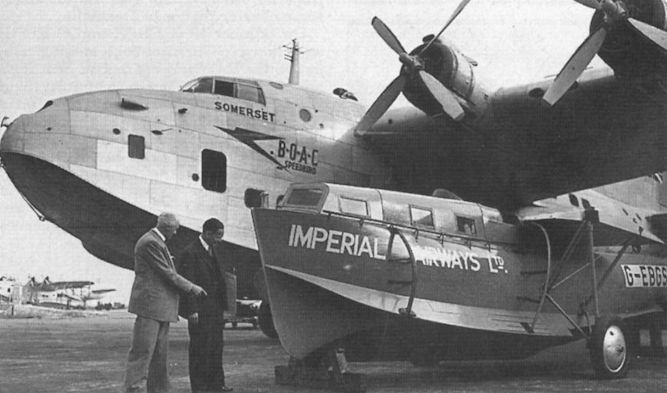 One of the three Sea Eagles as they appeared in service with British Marine Air Navigation. 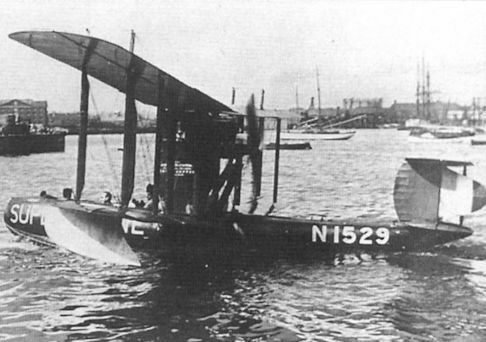 Supermarine Channel-type N1529 at Southampton, almost certainly on July 23, 1919. 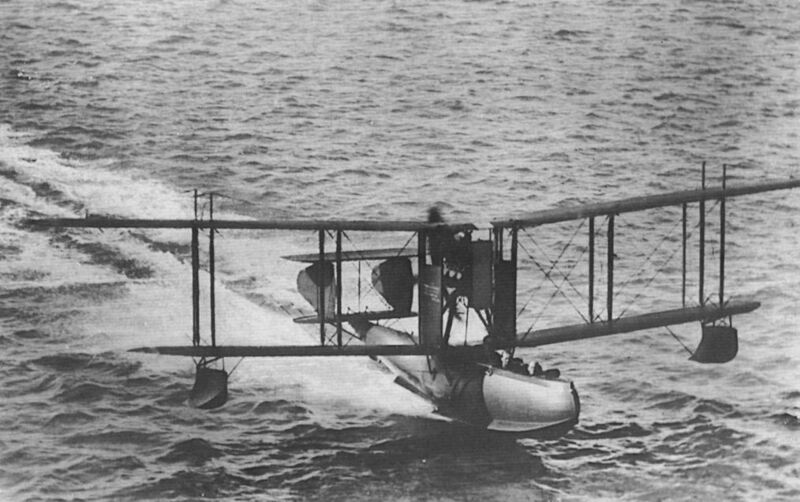 Supermarine Channel-type A. D. Flying Boat on the step. 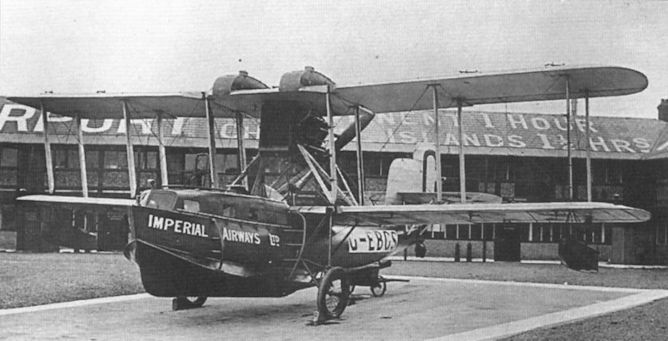 The Supermarine Swan in civil form as G-EBJY. The Swan G-EBJY airborne at Southampton. Looking forward through the cabin of the Swan. 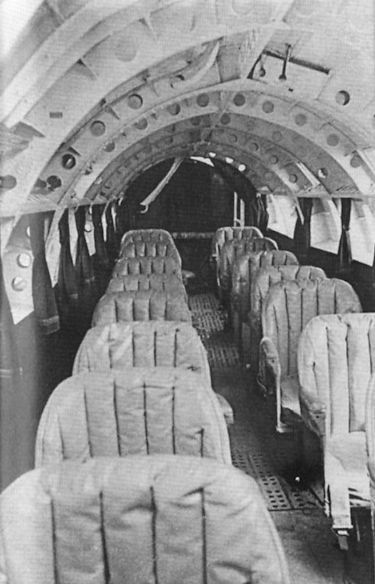 Seating accommodation is provided for ten passengers. Nearest on the right is R. J. Mitchell. 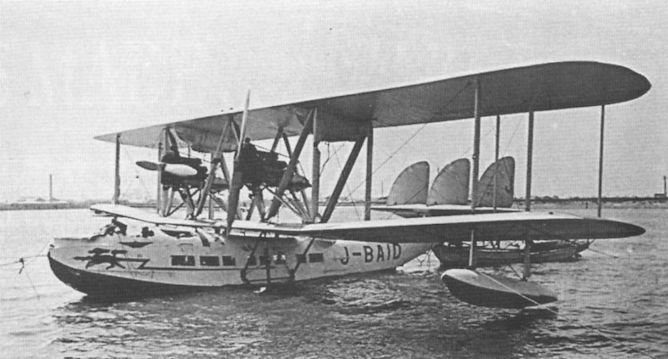 Japan Air Transport’s metal-hulled Southampton II J-BAID. The cabin of the Japanese Southampton in its original austere form.